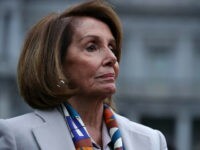 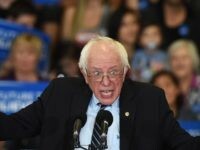 Five Democratic presidential candidates said they would re-enter the Iran nuclear deal that US President Donald Trump abandoned last year. 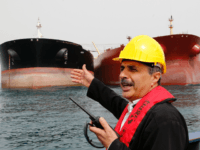 Iranian Defense Minister Amir Hatami on Wednesday promised a “crushing response” if Israel interferes with illegal Iranian oil shipments, as proposed by Israeli Prime Minister Benjamin Netanyahu last week. 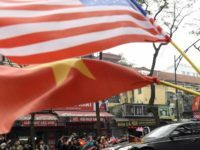 With the second summit on February 27-28 between President Donald Trump and North Korean dictator Kim Jong Un – this time in Vietnam – the question to be asked is: Who holds the high ground when the two leaders negotiate the issue of Pyongyang terminating its nuclear and missile programs? 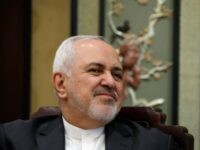 U.S. Secretary of State Mike Pompeo responded to the resignation of Iranian Foreign Minister Mohammad Javad Zarif on Monday with skepticism, describing Zarif and the secular Iranian government as a “moderate” pantomime covering for the real theocratic power in Tehran and wondering if Zarif will truly depart his post. 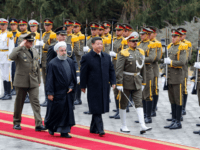 Chinese Communist Party leader Xi Jinping declared on Wednesday that Beijing remains committed to developing a “strategic partnership” with Iran, which the United States has designated as the world’s leading state-sponsor of terrorism. 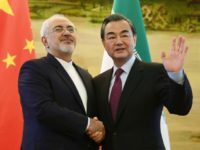 Chinese Foreign Minister Wang Yi welcomed his Iranian counterpart Mohammad Javad Zarif to Beijing on Tuesday, stressing the importance of China’s relationship with Iran and telling Zarif he became a “famous person” in China with his speech at the Munich Security Conference on Sunday. 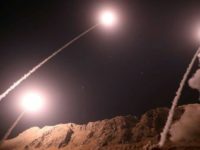 Iranian Foreign Minister Mohammad Javad Zarif told NBC News on Friday he thinks the “same gang” that provoked the 2003 invasion of Iraq is trying to set up a “suicidal” war between the United States and Iran. 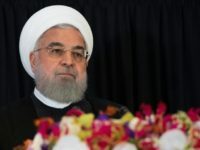 Speaking at the dedication of a shrine to Islamic Republic founder Ayatollah Ruhollah Khomeini on Wednesday, Iran’s President Hassan Rouhani said his country faces the worst economic crisis in 40 years, entirely due to U.S. policy. 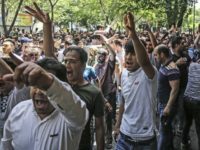 The government of Iran is prone to belligerent defiance about the resilience of its economy in the face of U.S. sanctions, but Radio Farda noted on Wednesday that even the dubious data officially released by Tehran depicts a country in “deep recession” with staggering unemployment rates. 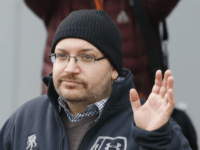 Washington Post writer Jason Rezaian, who was held prisoner in Iran from 2014 to 2016, testified against the Iranian government in U.S. federal court on Tuesday. 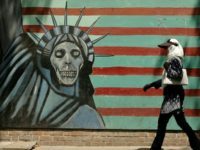 Rezaian is suing Iran for committing “unlawful acts of terrorism, torture, hostage taking, and other torts” against him and his family and seeks a multimillion-dollar settlement. 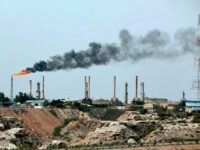 Economic data released by Iran this week indicated oil exports are sharply down and the export of products other than oil has been cut in half by U.S. sanctions. 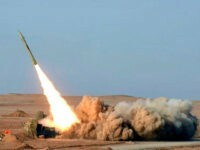 Islamic Revolutionary Guard Corps (IRGC) Brigadier General Ali Fadavi vowed on Friday to continue testing missiles and researching new weapons in defiance of U.S. sanctions against Iran. 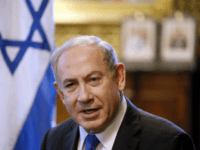 Israeli Mossad agents “periodically visit” Iran in an effort to thwart the Islamic Republic’s nuclear aspirations, Prime Minister Benjamin Netanyahu told a group of foreign ministers on Sunday. 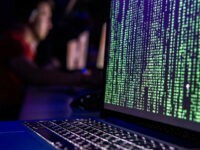 The Associated Press on Thursday reported a group of hackers linked to Iran attacked U.S. officials over the past month in an apparent effort to retaliate for sanctions imposed on Iran by the United States. 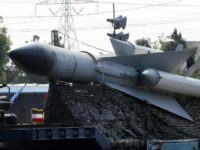 The United Nations Security Council met behind closed doors on Tuesday to discuss Iran’s latest missile tests, which the United States and other Western allies denounced as a violation of a U.N. resolution. 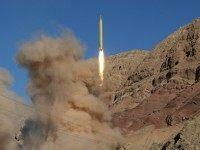 Iran test-fired a medium-range ballistic missile over the weekend capable of carrying a nuclear payload to parts of Europe, Israel, and anywhere else in the Middle East, a top U.S. Department of State (DOS) official stressed Monday, arguing the move violates a United Nations resolution. 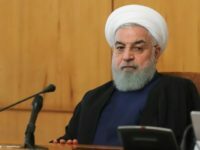 Iranian President Hassan Rouhani gave a nationally televised speech on Monday in which he vowed to continue oil exports in defiance of U.S. sanctions and condemned America’s “psychological war” against his regime. 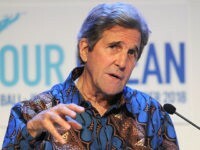 John Kerry claims “people are going to die” due to Trump’s decision to withdraw the United States from the 2016 Paris climate agreement. 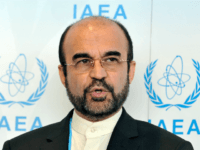 The International Atomic Energy Agency (IAEA) said in a confidential quarterly report that Iran is abiding by the limits to heavy water and uranium stockpiles set by the Joint Comprehensive Plan of Action (JCPOA), otherwise known as the Iran nuclear deal. 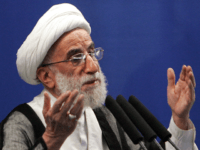 The vice president of Iran on Tuesday claimed that sanctions imposed by U.S. President Donald Trump have failed to fulfill America’s pledge to cut Tehran’s crude oil exports down to zero. 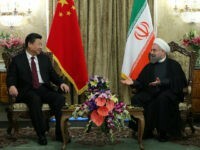 Chinese officials and state-run media denounced the new round of U.S. sanctions against Iran after they took effect on Monday, accusing the Trump administration of “bullying” Tehran and vowing to continue purchases of Iranian oil. 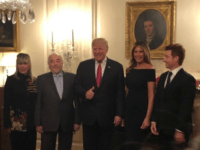 Russian President Vladimir Putin’s special envoy Alexander Lavrentiev arrived in Tehran, Iran, Monday to express Moscow’s rejection of the fresh round of U.S. sanctions. 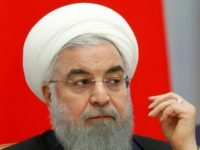 Iranian President Hassan Rouhani was defiant and belligerent in the face of new U.S. sanctions in remarks aired by Iranian state television on Monday. 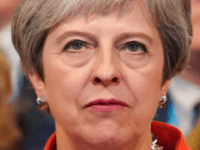 A spokesman for Prime Minister Theresa May has said Britain’s government “regrets” U.S. President Donald Trump’s decision to impose sanctions on Iran. 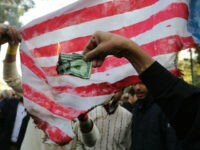 Iran has designated November 4 a “day of fight” against the “U.S.-Israeli-Saudi triangle of terrorism.” The date is significant for two reasons: it is the anniversary of Iran’s monstrous takeover of the U.S. embassy in Tehran in 1979 and, not coincidentally, it was chosen by the United States as the day renewed sanctions against Iran will take effect. 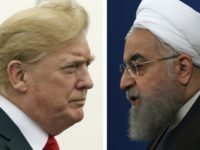 The United States has agreed to give eight countries waivers from the tough round of Iran sanctions that will go into effect next week.